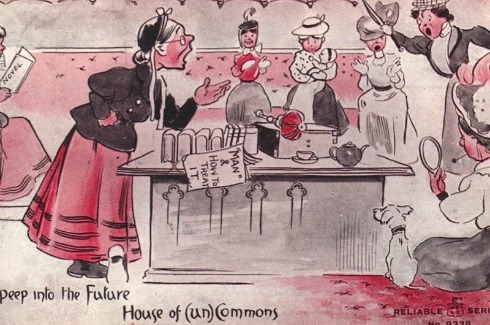 This is one of the many anti suffrage postcards which abounded when women were fighting for the right to vote. Modern day trolling has nothing on the viciousness of some of the images around then. I’d absolutely love to see this scene in the UK Parliament! RenewYou is my one day course, written for women, and available across the UK and in Pakistan, USA, Australia, Thailand, Canada, Belgium, South Africa…Click here to find out more.